If you’ve been watching the news lately, you know the weather has been a bit on the hormonal side up here. 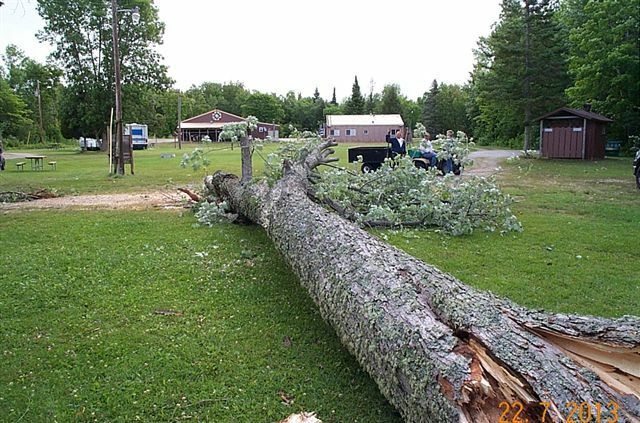 One day its 90 degrees with a side of heat stroke and the next its 60 with winds that could knock down a full grown white pine. 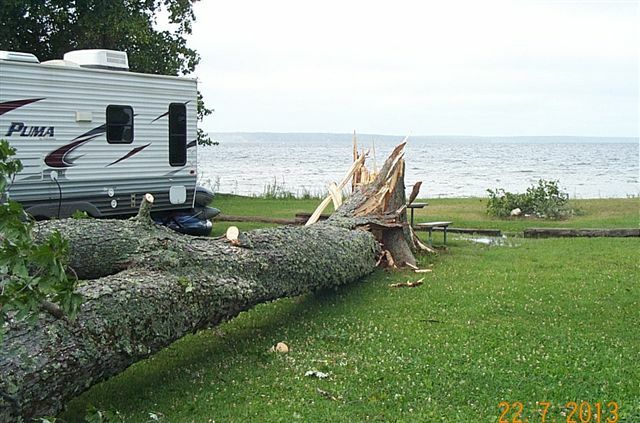 Last week we had winds that knocked down some of our larger lake front trees. (Hope no one was tenting!!) Which brings a good point…..
TENTING: If you are tenting in hurricane force winds and tsunami-type rains, never hesitate to come up to our barn. We have foam and blankets for moments like this. If you catch us on a grocery week, we’ll probably even make eggs and bacon for you while your in there! PS: If you have been with us in the last month, you know that our website is under “long-term” construction. All information is correct, but beauty takes time. Please notice our cool little “Weather Widget” at the bottom of each page. You can also see the whole 10-Day forecast on the Homepage.